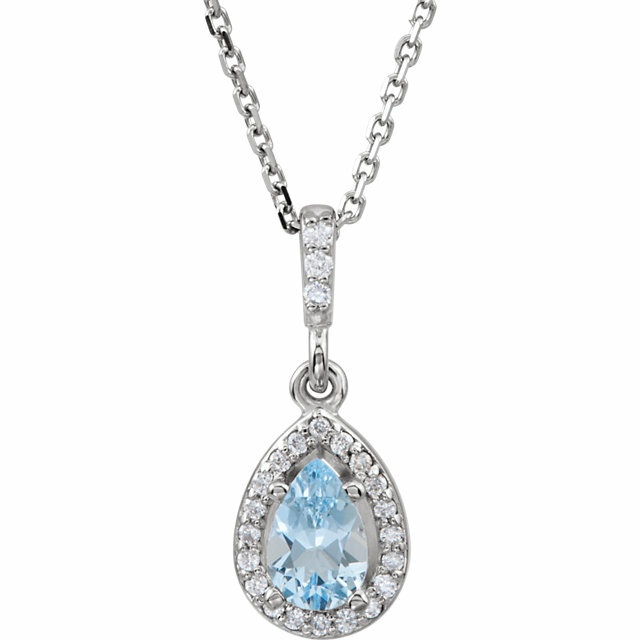 Incredible 14k White Gold Genuine .45 ct 5mm Aquamarine Entourage Pendant - 1/4 ct Diamond Accents - FREE Chain Diamond Accents Abound in This Dazzling 14k White Gold Pendant. A Beautiful 5.00 mm AA Grade Genuine Aquamarine Gemstone Sparkles in The Center. 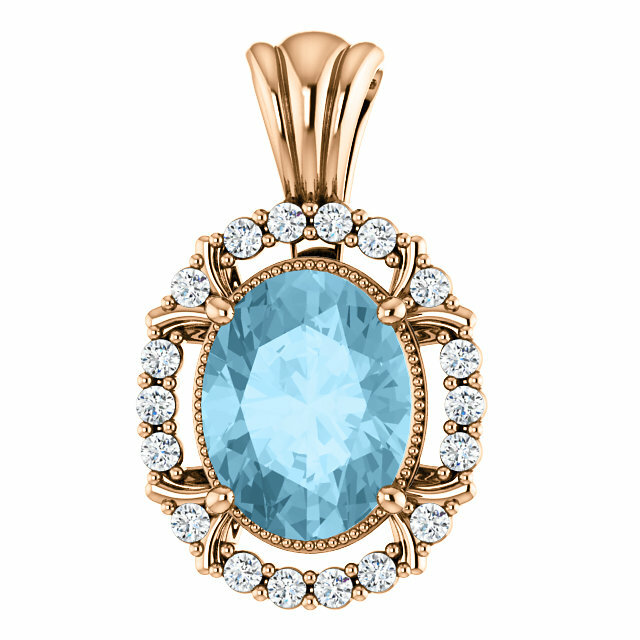 Imagine taking a dip in a crystal blue mountain lake�the morning air crisp and expectant, the sky soaring high and cloudless overhead. 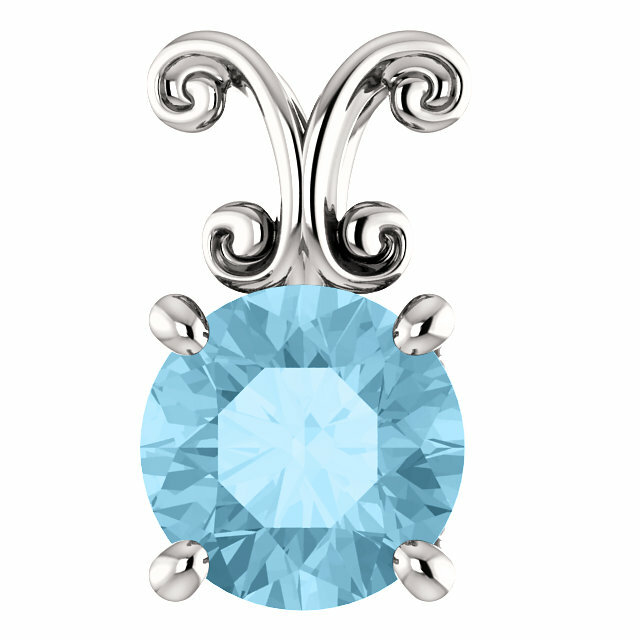 This is the unique refreshment of Aquamarine. Nothing compliments the cool blue beauty of Aquamarine like Diamonds and white gold�this winning trio is the inspiration for our Aquamarine pendant collection. 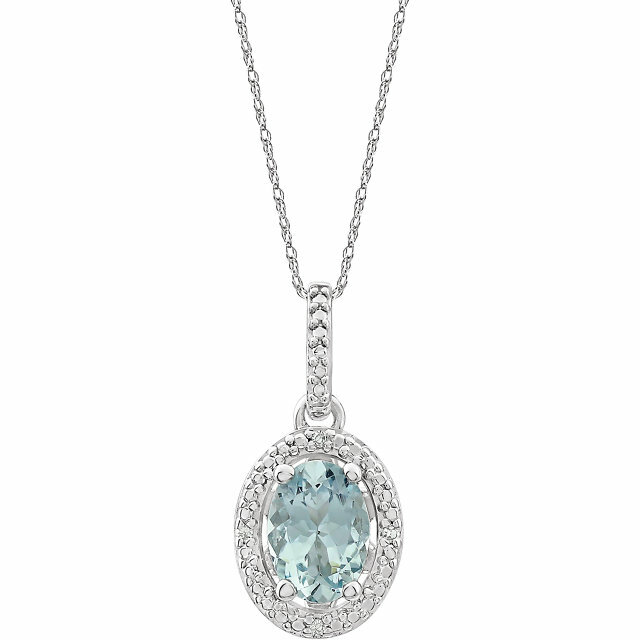 When you look at our stunning selection of Aquamarine pendants�the combined brilliance of the diamonds and the Aquamarine shimmering and dancing with the light�it might be hard to choose a favorite. If you�re considering a generous gift for a special someone, you can�t go wrong because she will surely love your choice�who wouldn�t appreciate a baby-blue glittering Aquamarine, paired with diamonds and set in 14k white gold? 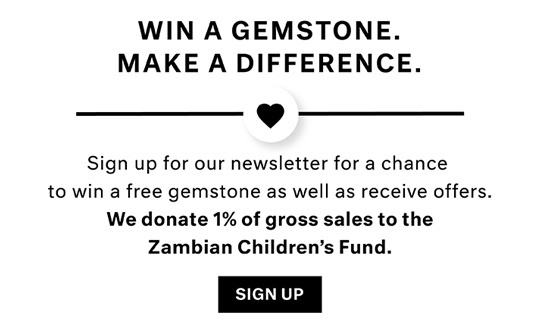 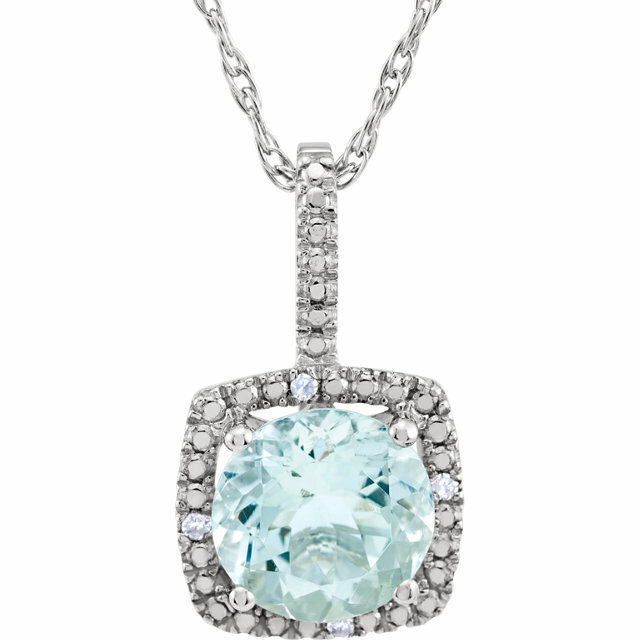 From the dainty yet sophisticated Aquamarine strand necklace to the radiant and ornate pendants sparkling with diamond melee, everyone will find the gemstone jewelry of their dreams. 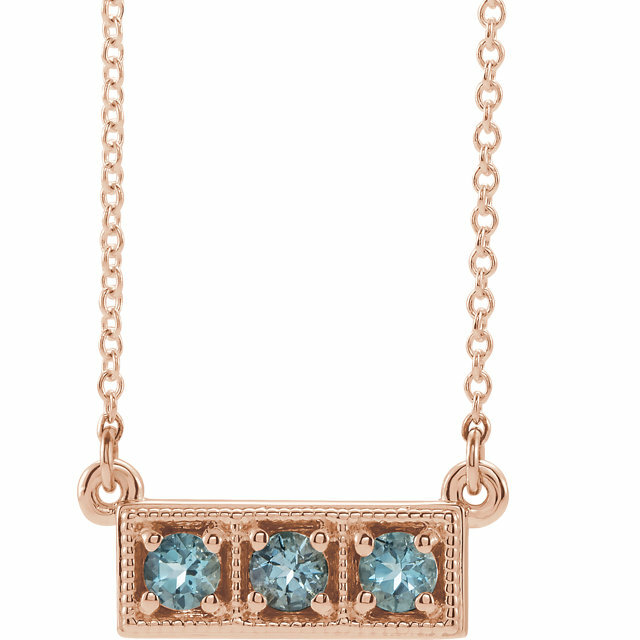 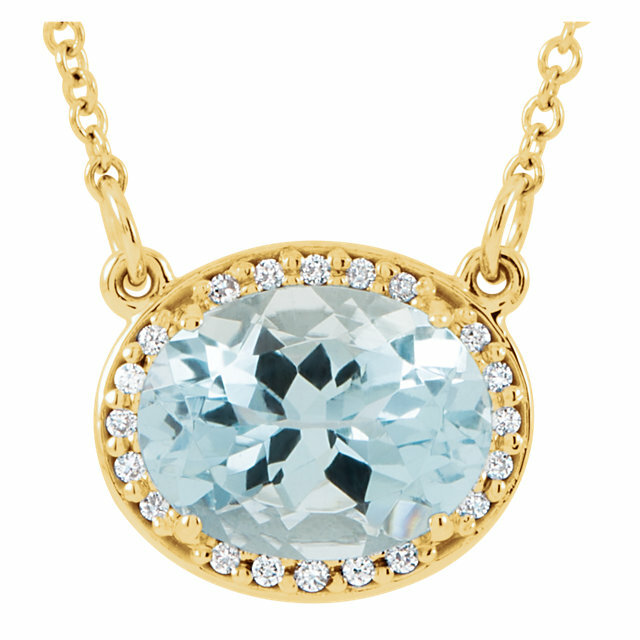 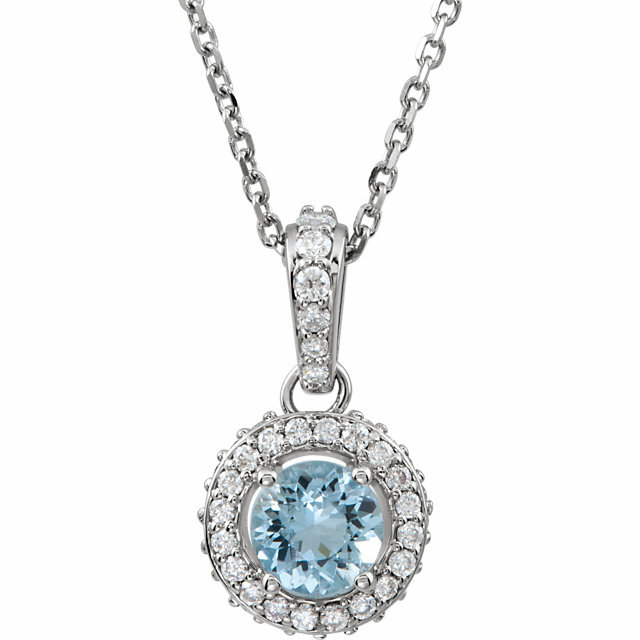 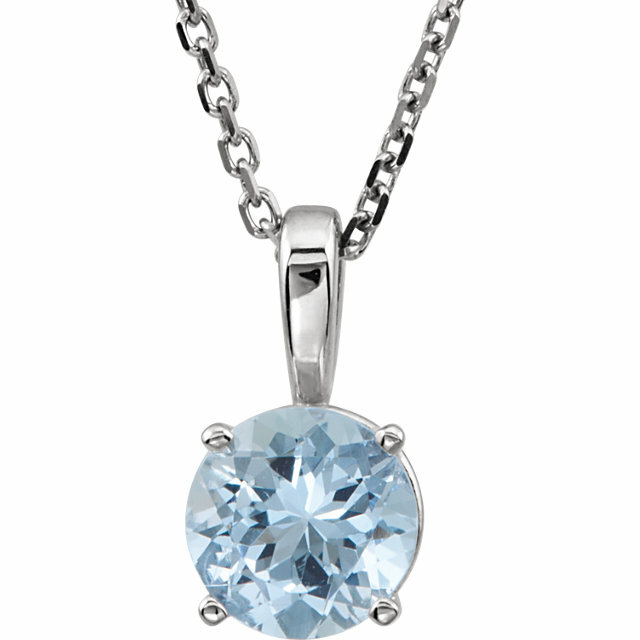 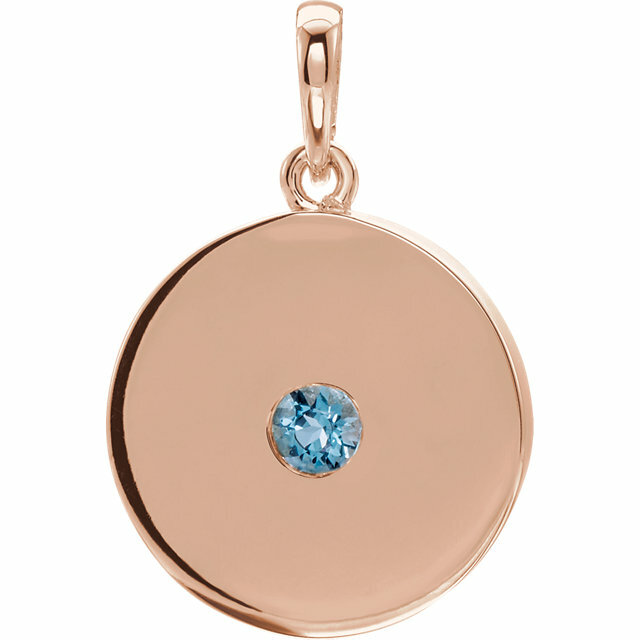 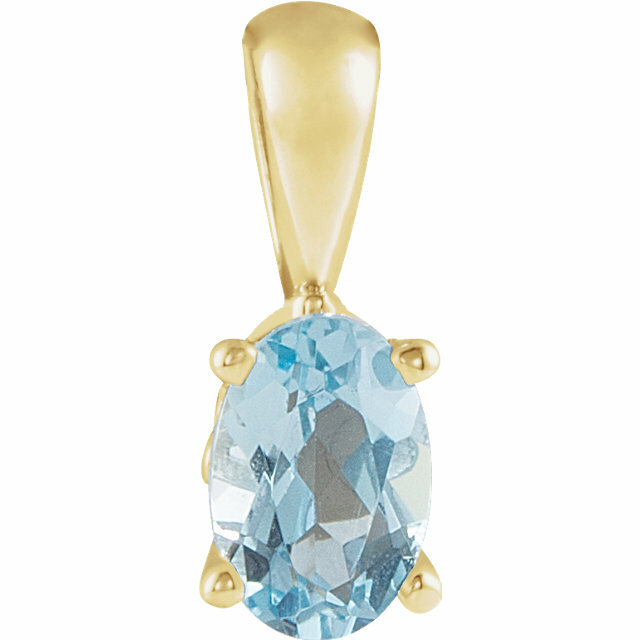 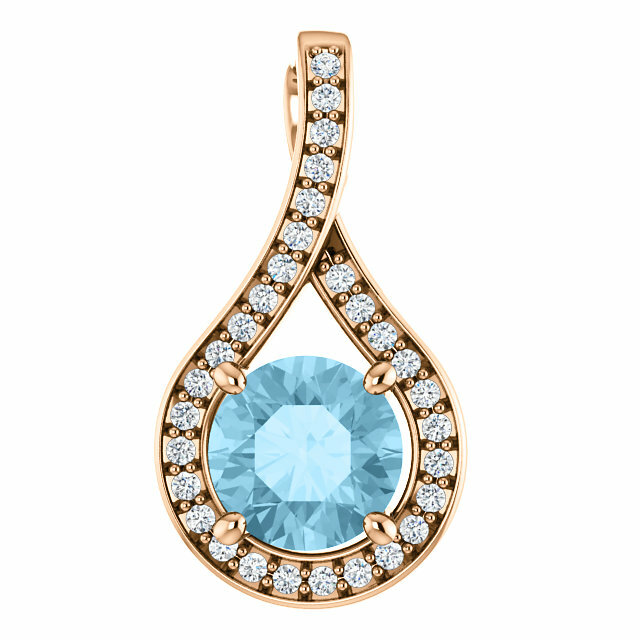 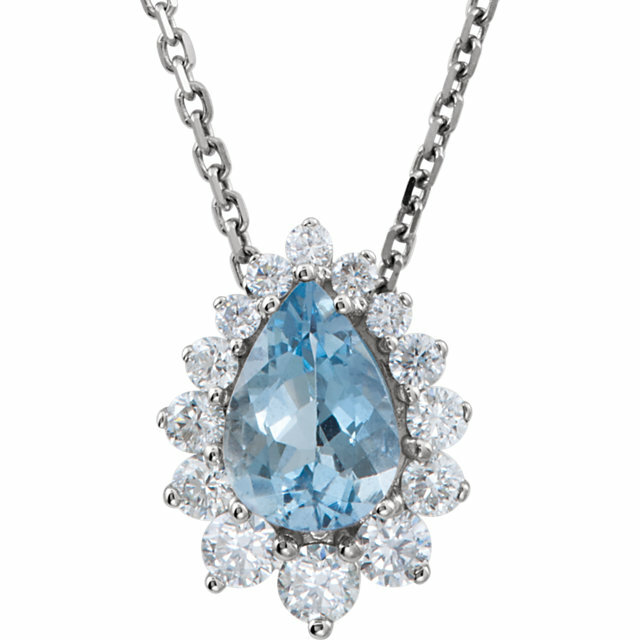 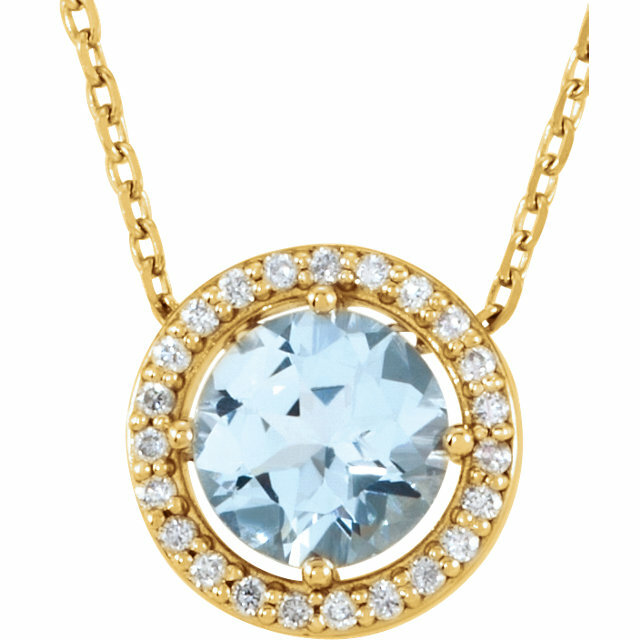 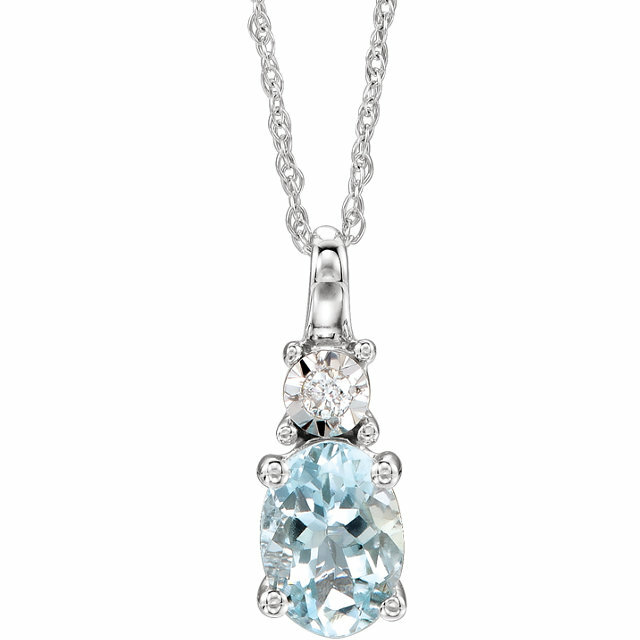 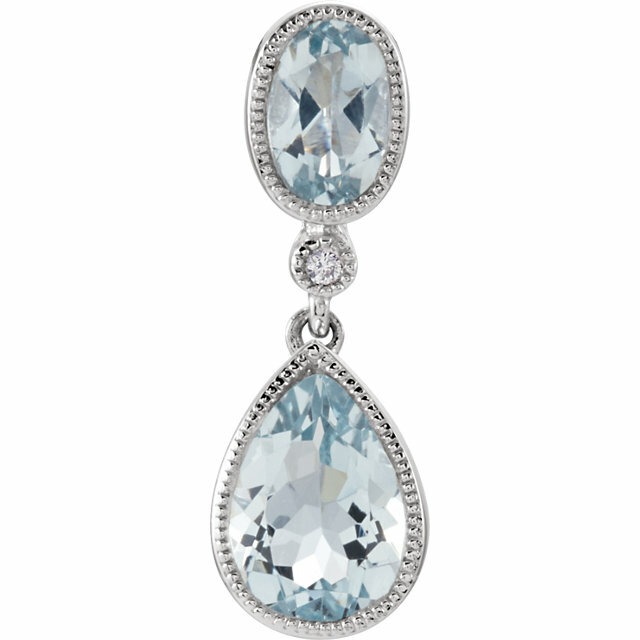 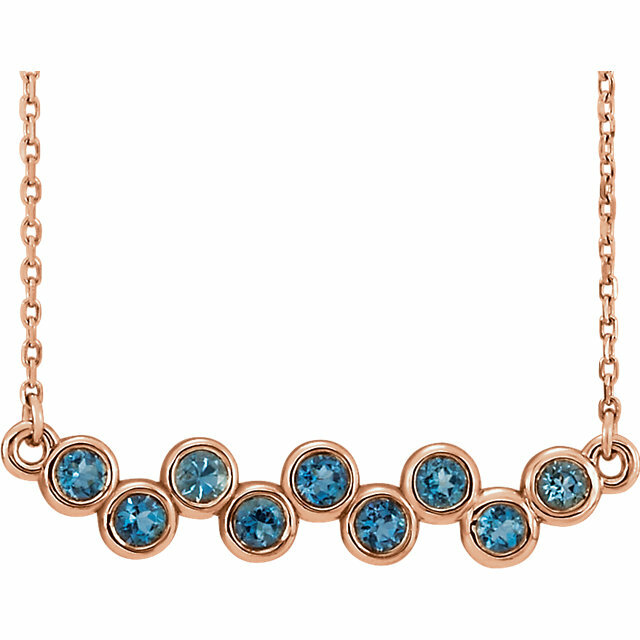 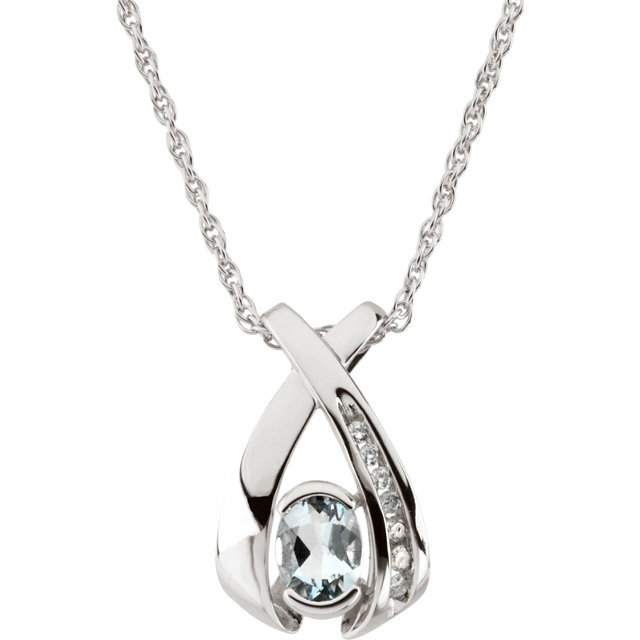 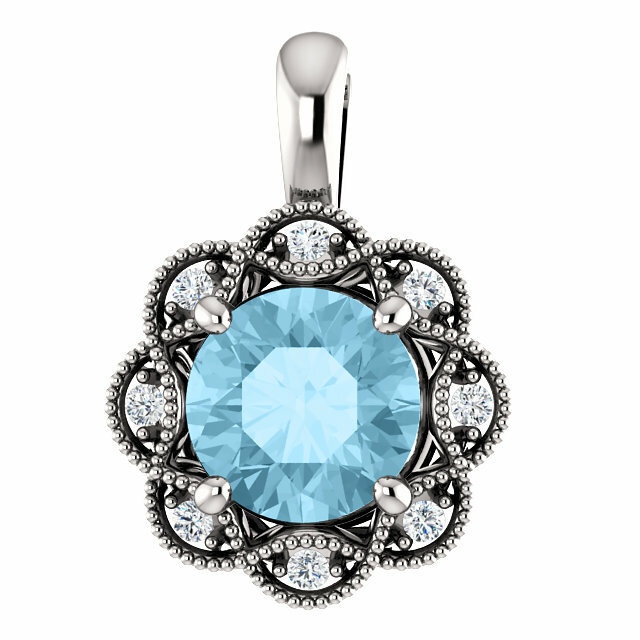 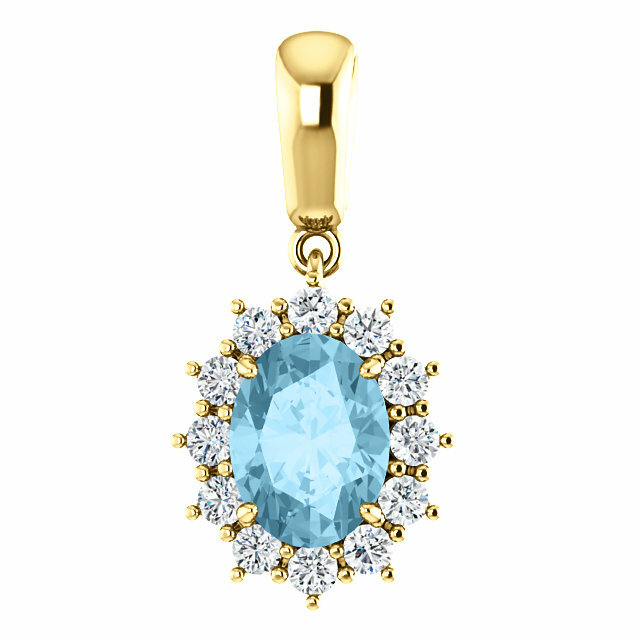 The beauty of our Aquamarine pendants is their versatility. 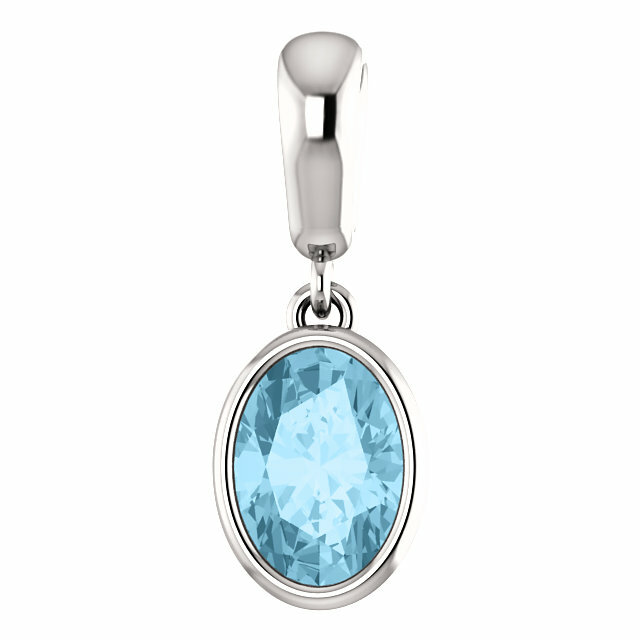 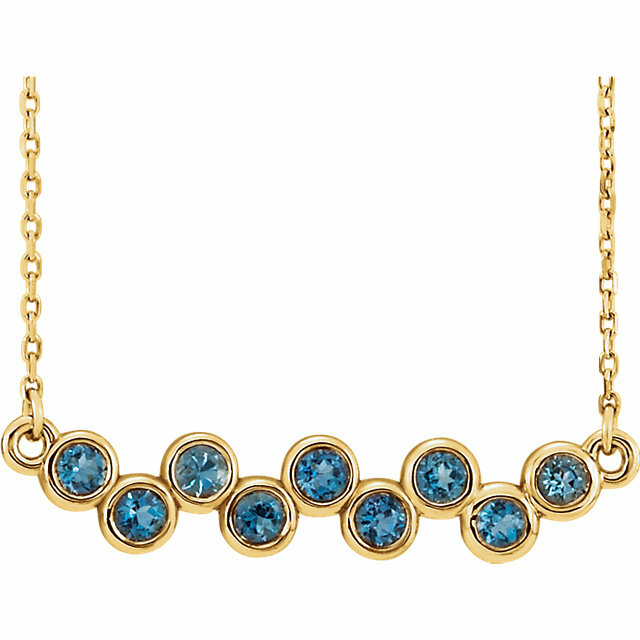 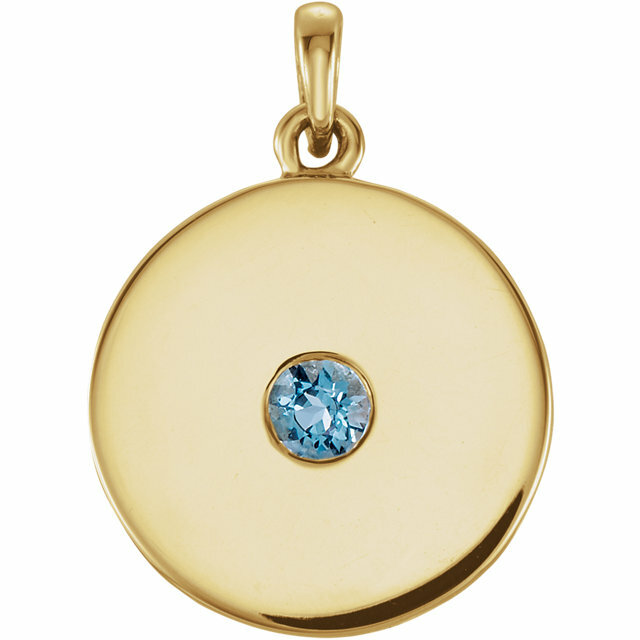 Take your Aquamarine pendant from daytime casual to evening fancy with a quick wardrobe change�the soft-spoken blue of Aquamarine is quiet enough for the workplace, while at the same time sparkly enough for a night out. Also, the gentle baby blue of Aquamarine is flattering on everyone�regardless of eye, hair, or skin color the cool, soothing blues tones compliment everyone�s natural beauty. 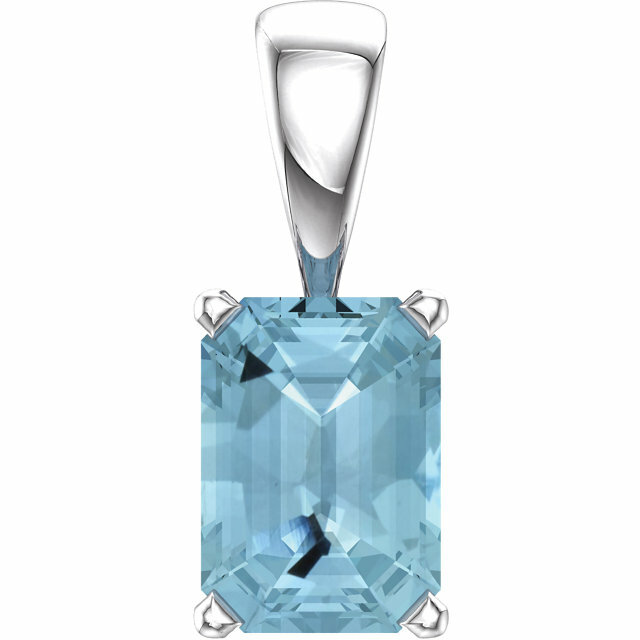 Modern-day etiquette suggests Aquamarine as the gem of choice to celebrate March birthdays and the 16th and 19th wedding anniversaries. 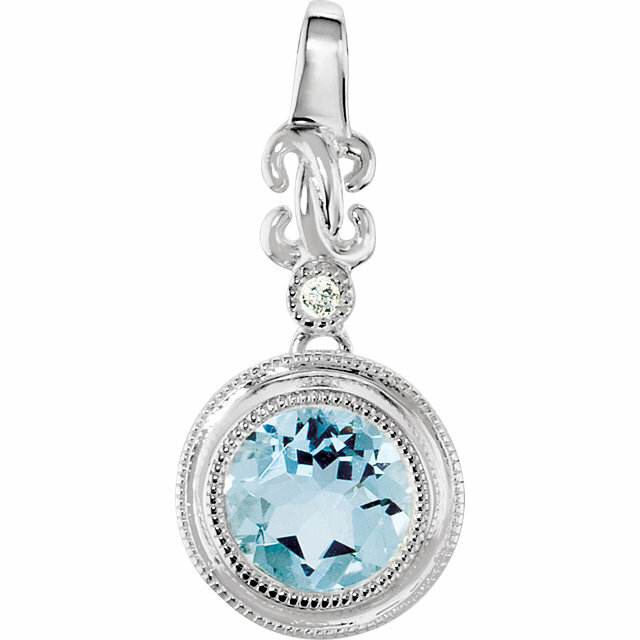 Most Americans choose blue as a favorite color and Aqamarine�s powdery hue is a perfect gem for blue lovers. 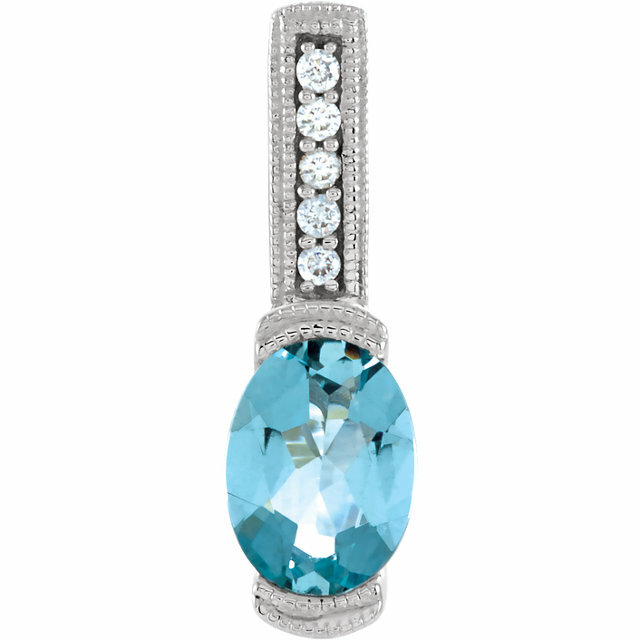 Make sure to visit our Aquamarine ring section to find matching pieces to create a jewelry ensemble.